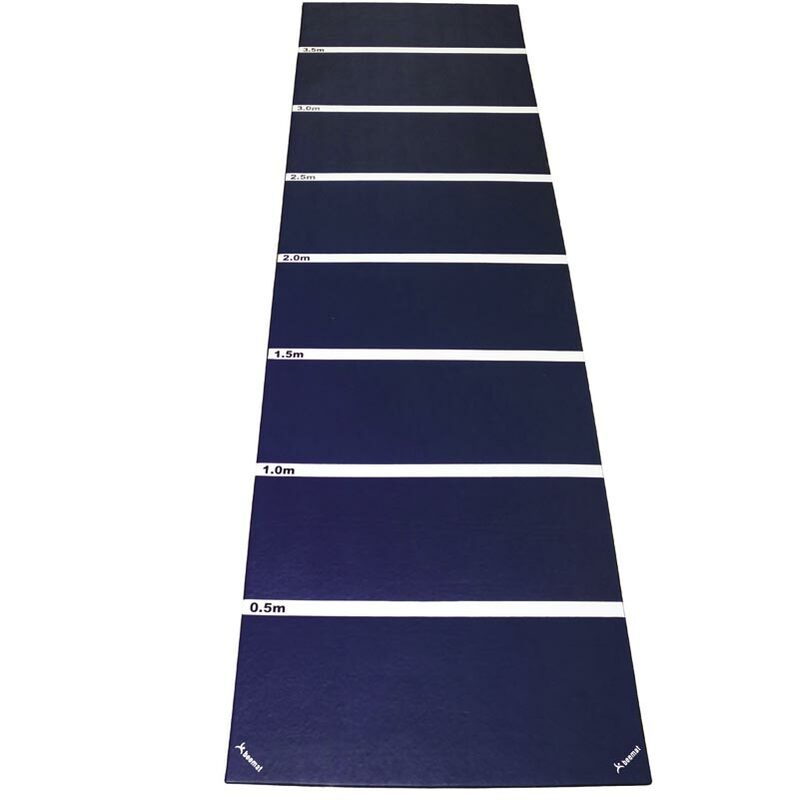 The 4m Beemat ® Standing Jump Mat is for use in gyms and outdoors. Colour marking strips every 0.5m gives easy reading of jump length and contributes to motivation. Anti-slip base resistant to abrasion. Covered in strong 1000 denier polyester twin coated in PVC. 4.00m x 1.5m x 40mm - 13'1" x 4'11" x 1.57".